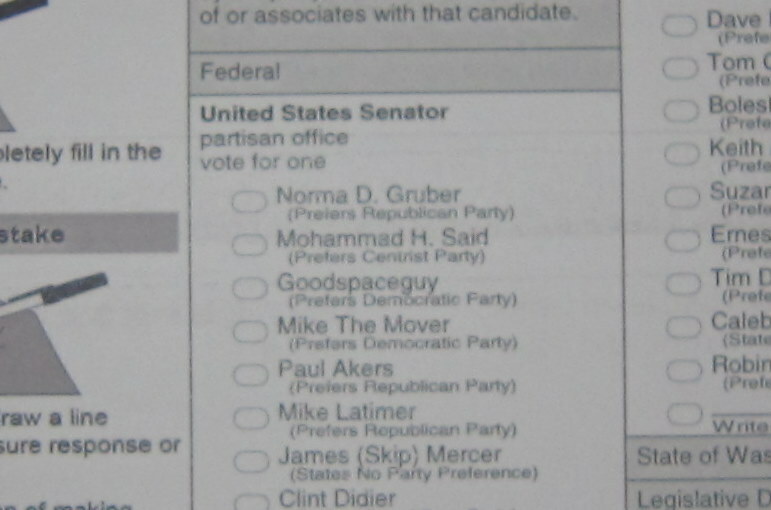 “Goodspaceguy” is quite a senatorial name (3rd from top in the picture below from my primary ballot). But, who is “Goodspaceguy,” and why is he running for Senate? That’s about all I needed to read. Reminds me of Dirt Woman who ran for mayor of Richmond – not worth the time.